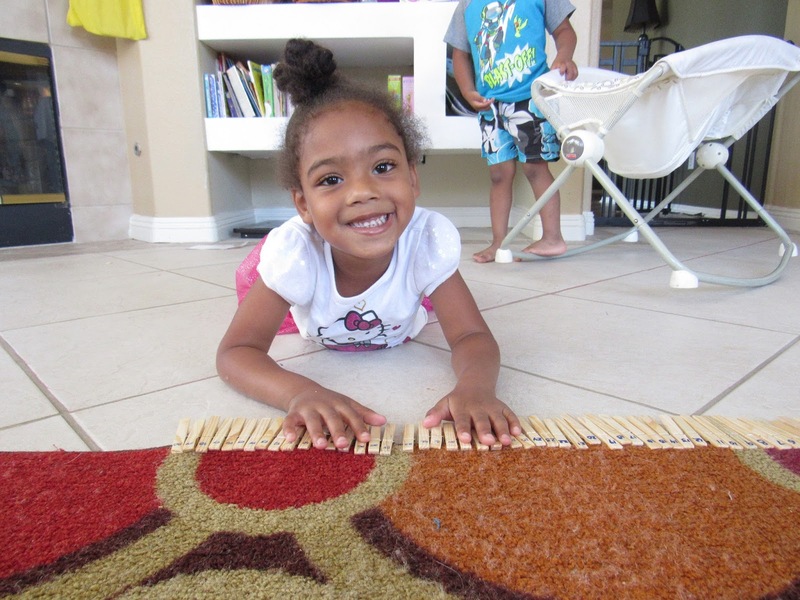 My little people LOVE numbers they did not get that love from me but it is a love I try to foster. I happened to find some clothespins at the dollar store. It came in a pack of 50 so I will have to go back for more to make an even 100. 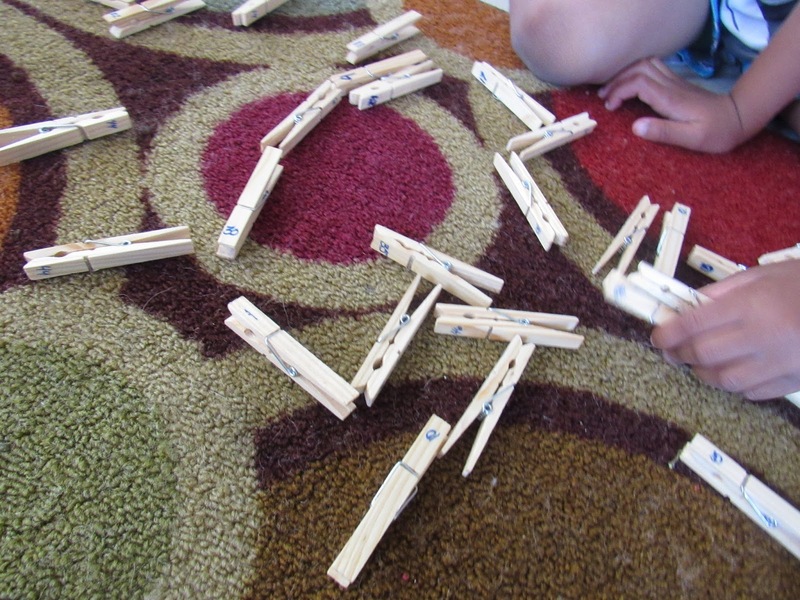 I took out all the clothes pins and added numbers to them, the kids loved them. The ASKED to play with the stuff I got from the store. It was only fair I oblige. 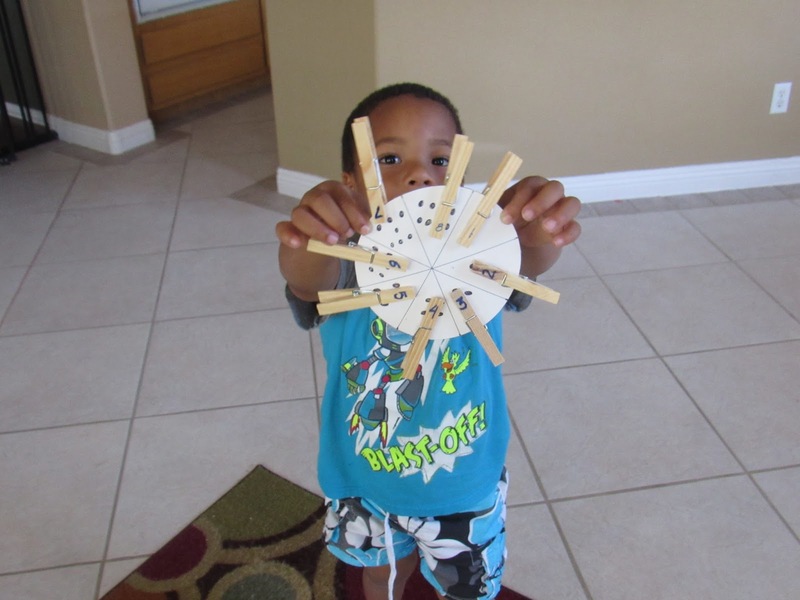 KJ added clothes pins to dots I drew on a circular cardboard cut out. I just did one through 8. SJ decided she would work on her addition. We put the clothespins on the floor randomly so she also liked having to “hunt” for the right numbers. 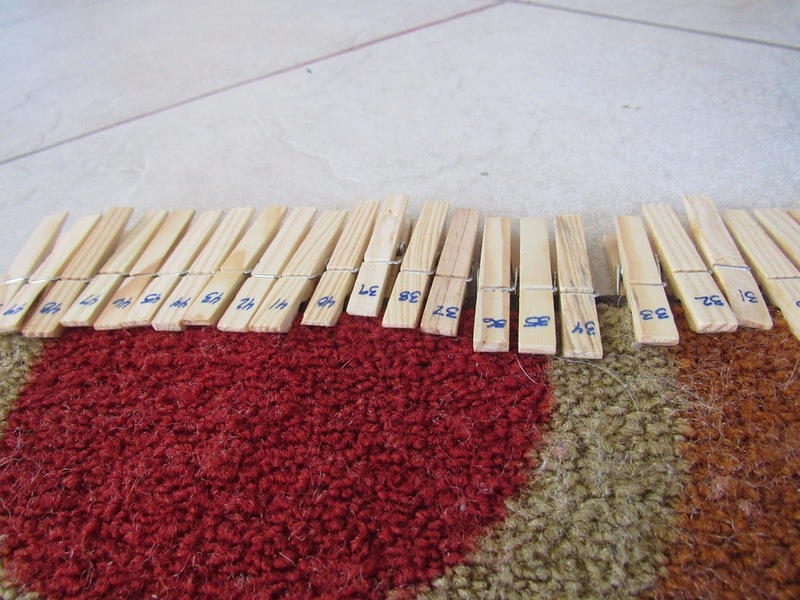 Lastly we put the clothespins in order on our activity rug. The three of us worked on this with occasional help from K. SJ did most of the work and was proudest when we finished. 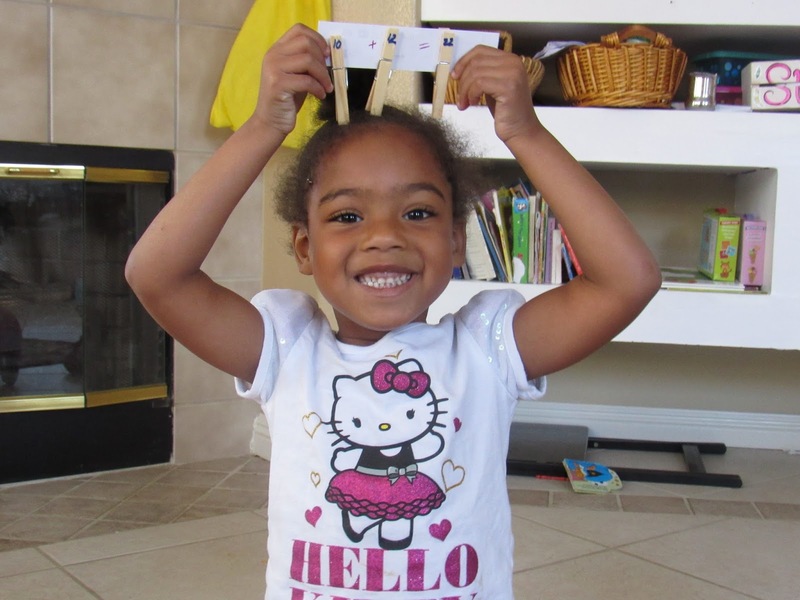 I will be writing the numbers to 100 on some additional clothespins sometime this week. This was a few hours of math activity the kids enjoyed for a buck!